Left to right – Simon Green, Warren Smart, Gazi Nujeidat, Israel ministry for Culture and Sport, Dr Gary Stidder and Eli Fratoknic, Senior sports leader Israel Sports Authority. 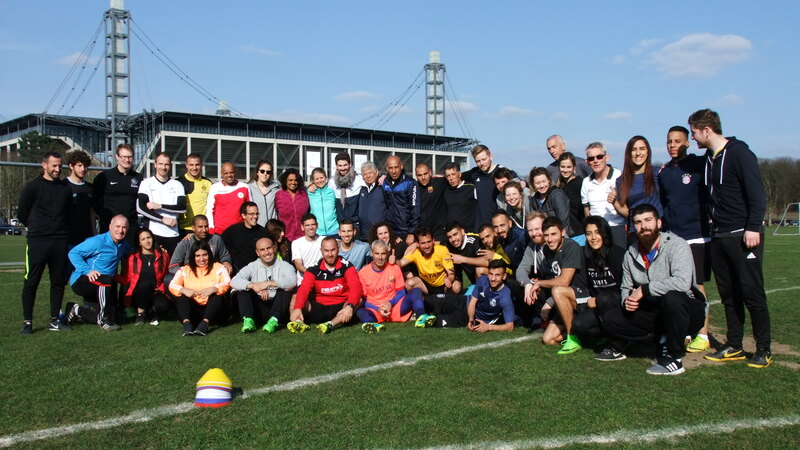 Israel has adopted the University of Brighton programme which uses football to bring together communities in conflict. 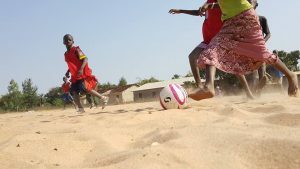 Football for Peace (F4P), which has operated in Israel, Palestine, Northern and Republic of Ireland, The Gambia, South Korea and South Africa since 2001, uses value-based coaching to break down barriers. Football 4 Peace International features in the ‘UK’s Best Breakthroughs’ list, part of the new ‘MadeAtUni’ campaign that celebrates the impact universities have on the wider community. The list of 100 highlights ground-breaking projects and research which have transformed lives. Universities UK is the representative organisation for all UK universities. A University of Brighton lecturer has been recognised for “making a difference to the teaching of physical education at national and international level”. The Association for Physical Education’s (AfPE) highest honour, the Honoured Members Award 2018, has been awarded to Dr Gary Stidder, Principal Lecturer in PE in the University’s School of Sport and Service Management. One of the University of Brighton professors who co-founded Football for Peace has been invited to advise the United Nations. 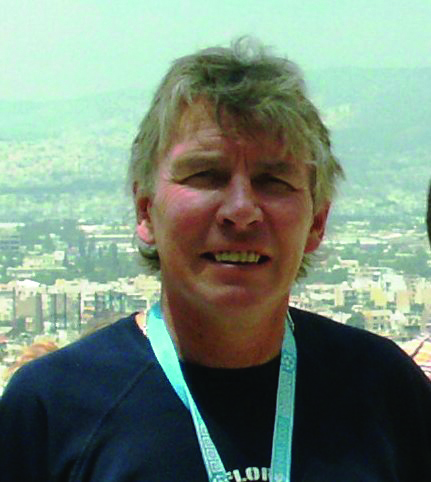 John Sugden, the University of Brighton’s Emeritus Professor of the Sociology of Sport, will be part of an expert group supporting the Division for Social Policy and Development of the UN’s Department of Economic and Social Affairs. He will fly to the UN’s New York headquarters in June for a meeting ‘Strengthening the Global Framework for Leveraging Sport for Development and Peace’ in preparation for a report to the 73rd session of the United Nations General Assembly in September. 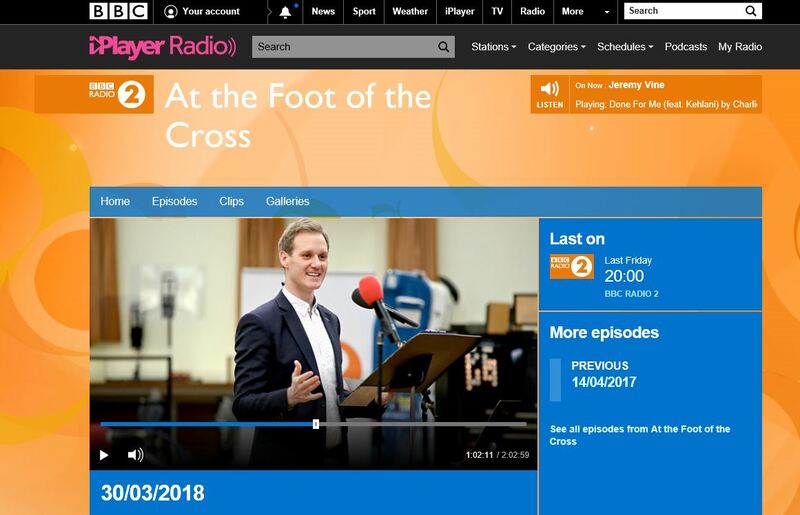 Professor John Sugden and Dr Gary Stidder were interviewed on At the Foot of the Cross; a BBC show broadcast on Good Friday. 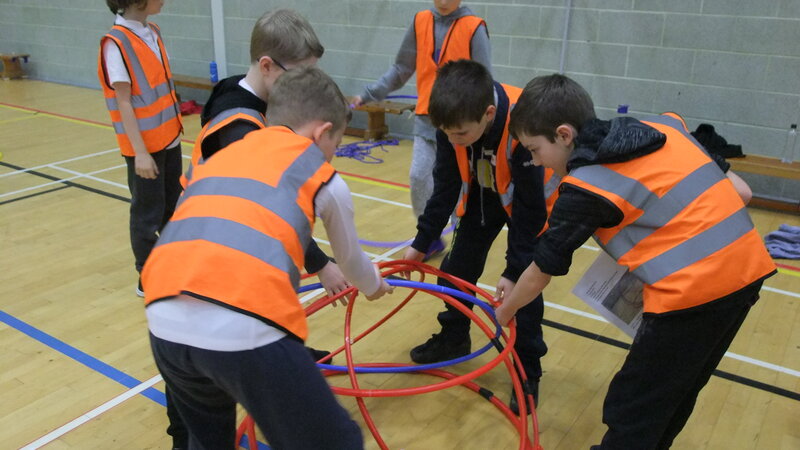 350 Eastbourne primary school pupils came to The School of Sport and Service Management to participate in a sports festival organised by Football 4 Peace International. Physical Education lecturers Dr Gary Stidder, Warren Smart and Simon Green ran a three-day values-based teaching workshop for over 40 Arab and Jewish Israeli sports coaches and teachers. In recent weeks students at the University of Brighton have been running a Gambia Photo Competition aiding in raising awareness and promoting F4P within the university. We can now reveal the four winners. 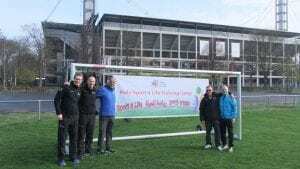 The Korean Sharing Movement eighth children’s peace football class has come to a successful end. It ran for three months every Saturday since April 1 and for 35 children . What a success! We had a relatively higher number of girls when compared to our previous classes which in turn allowed us to speak about peace in different ways that may affect them. In addition to our usual coaches we also had Derrick, a Ghanaian student, Umair, a coach from Pakistan and Dea, a coach from Indonesia volunteer to be involved. The children were able have an opportunity to learn about diversity, fairness and empathy thanks to the diverse volunteers. We asked the children to express their definition of peace on a piece of paper both before and after the program. The first answers were rather vague and ambiguous, with answers such as ‘I don’t know’, ‘not fighting’, and ‘good things’. However, on the second time, there answers such as “respecting and looking out for one another”, “a comfortable state with no war or fighting”, which were far more specific than the answers before the program. We felt very thankful for the children for their spirit and learning over these 3 weeks and hope to be able to continue in our efforts to strive for peace and unity. Click here to be directed to the Korean Sharing Movements article.